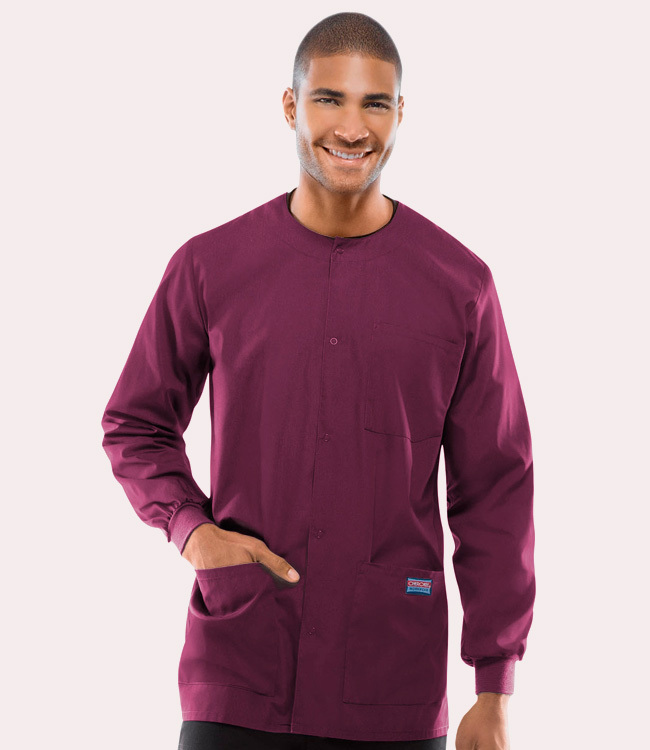 Cherokee Workwear corners the men's market! This is the ideal warm-up jacket for the male medical professional. It has snaps down the front and has two patch pockets to hold anything you might need. 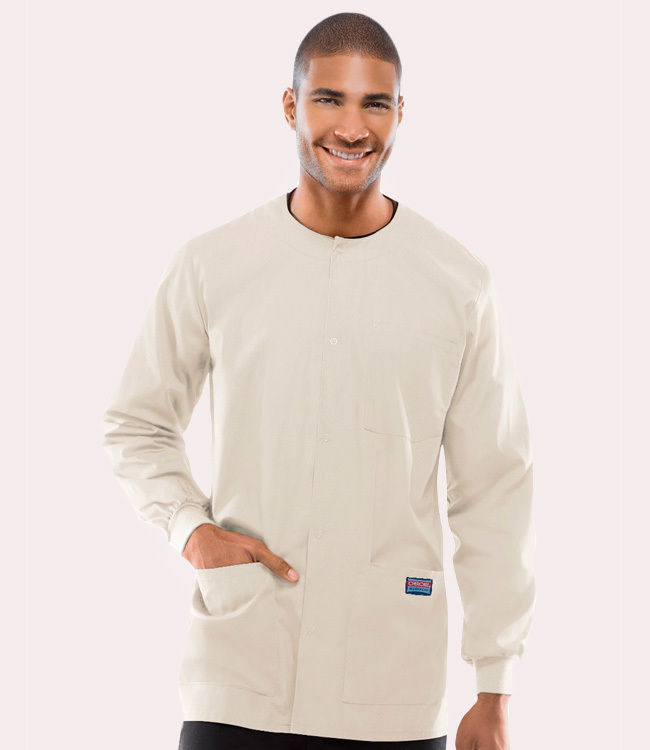 In addition, this also has a chest pocket and matching knit cuffs.